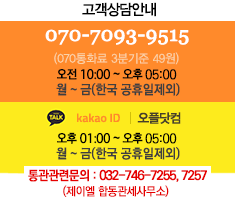 ※ 본 제품은 제조사로부터 유통기한이 짧게 입고됩니다 (약 1~2개월). 구매 시 참고해주세요. ※ 상기 제품 이미지는 제품 리뉴얼 등으로 인해 실제 이미지와 다를 수 있습니다. ※ 해당 상품 정보에서 포함하고 있는 내용은 제조사에서 제공하였으며, 질병의 진단 및 치료를 위한 것이 아님을 알려드립니다. ※ 건강보조제에 대한 효과 및 결과는 개인에 따라 다를 수 있으며, 자세한 의료관련 사항은 의료전문가와의 상담을 권장합니다. 달콤한 체리와 풍부한 초콜릿, 통곡물, 귀리가 잘 어우러지는 제품입니다. 간단히 영양을 섭취할 수 있는 훌륭한 간식입니다. 자영 영양분의 풍부한 건강한 스낵을 즐겨보세요. Less is more. We simplified our chewy granola bars by cutting the ingredient list nearly in half, making them even chewier and tastier. Now our star flavors like sweet cherries, rich chocolate and whole grain oats shine even brighter. Rolled Whole Grain Blend Had Red Wheat, Oats, Rye, Triticale, Barley), Brown Rice Syrup, Cherries (Cherries, Apple Juice Concentrate, Red Tart Cherry Juice Concentrate), Semisweet Chocolate (Cane Syrup, Chocolate Liquor, Cocoa Butter, Soy Lecithin, Vanilla), Soy Protein Isolate, Soy Grits, Dried Cane Syrup, Chicory Root Fiber, Cane Syrup, Honey, Corn Flour, Expeller Pressed Canola Oil, Rice Starch, Vegetable Glycerin, Oat Fiber, Evaporated Salt, Kashi Seven Whole Grains &Sesame Blend (Whole: Hard Red Wheat, Oats, Rye, Barley, Triticale, Brown Rice, Buckwheat, Sesame Seeds), Natural Flavors, Molasses, Soy Lecithin, Whey Protein Isolate, Almond Flour, Peanut Flour. * 이 상품을 사용해 보셨다면 사용후기를 써 주십시오. 베스트후기에 선정되시면 포인트 2000점을 드립니다! ※ 사진파일은 한개당 최대 5Mb 크기까지 등록하실 수 있습니다. ※ 직접 촬영한 사진이 아닐경우 일반 후기 포인트로 조정될 수 있습니다.